Rich Brenner, originally from Merchantville, New Jersey, served in the U.S. Marine Corps and later in the U.S. Marine Corps Reserve as a Captain. In 1965, Rich began his broadcasting career, serving as the sports anchor for several radio and TV stations on the East Coast. He worked for WGHP (FOX8-Greensboro, NC) for 21 years until his retirement in April 2008. Continuing on in his retirement, Rich worked constantly to improve the lives of our veterans and first responders. He was involved from the beginning in 2012 with the efforts to raise funding for War Memorial Foundation. His public presence and desire to help all veterans were extremely helpful in raising public awareness for the campaign to create the Carolina Field of Honor. On February 27, 2012, Rich was attending the American Red Cross’s second annual “Salute to Heroes” event at the Carolina Theater. He was there to speak on behalf of the War Memorial Foundation/Carolina Field of Honor. Unfortunately, he collapsed after speaking, and never regained consciousness. Everyone who knew Rich with his ready smile, friendly personality, boundless energy and genuine generosity still miss him. He was survived by his wife Judy, son Shawn, daughter Leslie and the two dear grandsons he left behind. We, the Board members of the War Memorial Foundation profoundly miss our friend, Rich Brenner. A native of Merchantville, New Jersey, Rich is a 1969 graduate of Baldwin-Wallace College in Berea, Ohio, with a BA in Political Science. During the summer of 1967 between his sophomore and junior years, Rich served as a fully-accredited correspondent covering the Vietnam War from a collegiate point of view. After graduation, he went into the U.S. Marine Corps where he attained the rank of captain in the USMC Reserve. In 1972 he entered the 4th Civil Affairs Group located at the Washington, DC Navy Yard. Rich began his broadcasting career while in college, doing his first football radio play-by-play in the fall of 1965. His professional career began in 1972 broadcasting high school football and basketball games in Lynchburg, Virginia, on a freelance basis before joining WLVA-TV (now WSET) in Lynchburg in February of 1975 as a sports anchor. 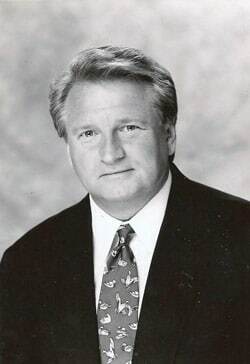 Over the next 34 years, Rich worked at WAVY Portsmouth, Virginia; WRAL and WTVD, the Raleigh-Durham Market of North Carolina; WMAQ in Chicago; and for the final 21 years at WGHP (FOX 8) where he anchored the 5, 6 and 10PM Newscasts as well as the ground-breaking 30-minute prime time local sports magazine, Rich Brenner’s Sports Sunday, from 1995 to 2005. He retired in April of 2008. While at FOX 8, Rich and his sports team covered events all over the United States where Piedmont Area teams were competing, from Miami to Seattle, New York to Los Angeles, Dallas to Green Bay, to ACC Tournaments and every major NASCAR racetrack, as well as numerous Final Fours and one Super Bowl. Rich and the FOX 8 Sports Team were in Chicago when the Panthers were officially awarded their franchise and were there for their first game in Canton, Ohio, in 1995. They covered the Inaugural Brickyard 400 and the first race at the Texas Motor Speedway, while also reporting from location the final races at North Wilkesboro and Rockingham. Prior to the Iraq War in 2003, Rich and videographer Timmy Hawks covered a NASCAR Goodwill Tour which visited troops in Germany, Italy, Spain and Bosnia. A co-founder of the popular FOX 8 Friday Football, Rich always believed that while the major events were important, equally as paramount were the many local activities which featured regular people and athletes involved in sports for the love of competition. A member of the National Academy of Television Arts and Sciences prestigious Silver Circle, Rich won three Southeast Region EMMY Awards and one National Iris Award in his career. Rich was awarded the Charlie Harville Award and the Hixon Award. He has interviewed and covered well known people in the world of sports as well as history and through his 34 year broadcasting career, he has mentored countless young aspiring sportscasters and journalists. A long time supporter of soccer in North Carolina at all levels, Rich was honored in 1991 by the NC Youth Soccer Association for outstanding coverage of the sport. After Rich’s retirement, he worked tirelessly for veterans, first responders and mentoring youth, even tutoring at his grandson’s school to kindergarten students. Rich and his wife, Judy, had been married for 38 years and live in Greensboro. He enjoys all sports, as well as riding his Harley-Davidson, which includes six cross country rides (three with Judy aboard) with Kyle Petty’s Charity Ride Across America. Judy works with the Forsyth County Sheriff’s Office, where she started the Crime Analysis Unit. Their son, Shawn, lives in Greensboro and works for Greensboro Harley-Davidson. Daughter, Lesley, lives in Greensboro with her husband, Nick, and Rich and Judy’s grandsons, Tanner and Carson.